Now that we have explored all seven chakras, we’ll put it all together for some chakra balancing from root to crown. This trajectory from the lowest chakra to the highest is what is known as the liberation current. 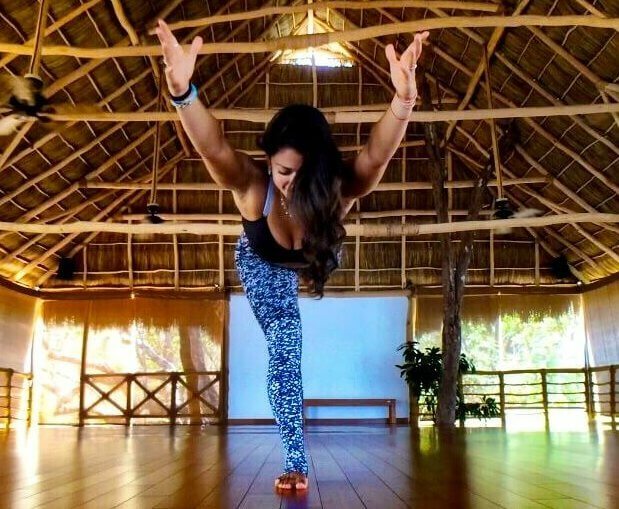 If you’ve missed the individual chakra posts, be sure to check those out! If you’ve been following along on the chakra journey, then you know that the chakras are energy centers in the body. 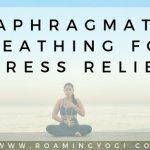 In the 7 chakras post, I talked about prana, which is the vital life force energy that’s responsible for all life experiences. I also talked about the nadis, which are the pathways that transport prana throughout the body – like prana subway lines. The chakras are centralized locations where the nadis converge – like prana subway stations, where different lines meet and cross. Well, in addition to the thousands of nadis that run through the body, there are also four major channels of energy – like highways – that also converge at the chakras. These run upwards, downwards, and horizontally. The main currents of energy within the body flow upward and downward. This is because we are vertical beings, who move through life with our feet on the ground and our head in the air. These are the currents of liberation and manifestation. We’re not going to go into depth on the horizontal currents, but they have to do with our interaction with the outside world. As we come into contact with the world outside of the body, we participate exchanges of energy, which engages the horizontal currents. These are the currents of expression and reception, which move outside of the body. We express what’s inside of us, like our thoughts, creativity, or feelings; and we receive energy from those around us in the form of information, emotions, or touch. If either of the the horizontal currents are blocked we may experience difficulty in our social interactions, as we’ll have a hard time receiving or expressing one or more of the chakra-related aspects. We’re going to focus on the liberation current in this post, and we’ll dive into the manifestation current in the next one. The upward current is called the liberation current. 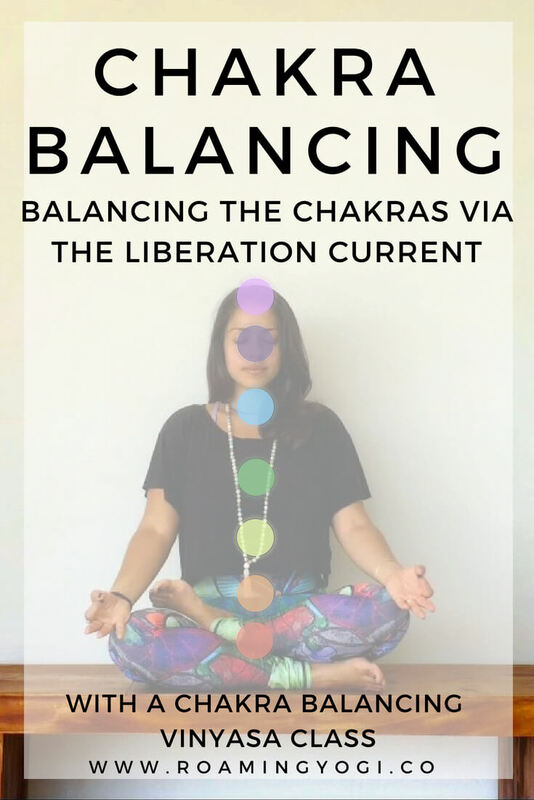 This is the energy flow most commonly talked about when we talk about chakra balancing. The liberation current begins at the earth and travels up through the body (as we’ll do in the class below). We move step by step towards more awareness and freedom from the limitations of the physical world. This is the journey to consciousness. It allows us to awaken to new possibilities and liberate ourselves from the constrictions of the physical world. Hence, the liberation current. As the upward-moving liberation current passes the downward-moving manifestation current, the two mix together and help to form the vortices we know as the chakras. The lower chakras are of substance. If you think about the elements of the lower chakras (earth, water, fire), they are more concrete and substantial than the elements of the higher chakras (air, ether/space, light). We have solid manifestation in the lower chakras, but not much freedom of imagination. Up in the higher chakras, we experience a greater sense of freedom (of expression, imagination, and connection with our higher selves), but there is little substance. Not much we can grab on to, you know? As we move into the higher chakras, we can start to imagine things that do not exist in the physical realm. We open ourselves to different ways of thinking; to possibility, openness, and maybe a little bit of magic. 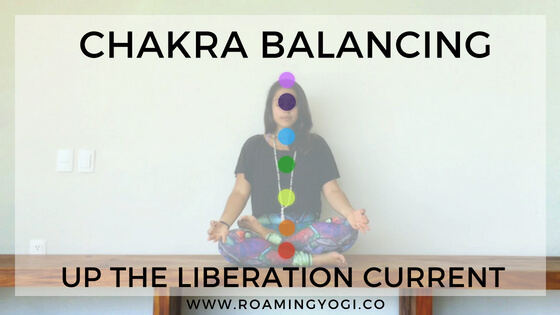 Most chakra balancing that we encounter happens along the liberation current, from root to crown. This makes sense, as our lower chakras address our most basic needs. It’s important for us to address those needs first, before we move up into our more spiritual needs. Once we’ve found that balance, it then becomes important to move back down to the physical plane (more on that in the next post). So we start with what we can see and touch. We become grounded in the substance of reality. 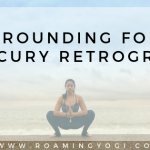 We root down to connect with the earth, being absolutely certain of our stability and belonging (root chakra). With that stability in place, we can begin to open up our sense of creativity, pleasure and flow (sacral chakra). With our creative juices flowing, we light our inner flame and take action (solar plexus chakra). Now that we’ve got some momentum going, we connect to love; ensuring that the actions we are fueling with our third chakra are coming from a place of love. When we’ve tapped into unconditional love, we work on self-expression and speaking our truth; again, from a place of love (throat chakra). With our sense of outer truth established, we then take the attention inward and connect to our inner truth and intuition (third eye chakra). Now we have begun the process of connecting with our true selves, and we start to invite a connection with universal consciousness (crown chakra). Traveling up the liberation current is intended to do just that – liberate us. Liberate us from what? From the constrictions of the physical world. From the belief that only what we can see and touch are real, and the notion that our individual consciousness is all there is. This path is intended to help us realize that we are a spark of universal consciousness; that we are one with the universe, which means we are one with all other living beings. I don’t know about you, but I think that’s freaking beautiful. In this practice, we’ll move from root to crown. We’ll find balance in each of the chakras, as we move our way up towards more freedom. Unroll your mat and I’ll meet you there!